In 1988, Bachchan returned to films with Shahenshah, which was a box office success due to the hype of Bachchans comeback. After the success of his comeback film however, his star power began to wane as all of his subsequent films failed at the box office. The 1991 hit film Hum looked like it might reverse this trend, but the momentum was short lived as his string of box office failures continued. Notably, despite the lack of hits, it was during this period that Bachchan won his second National Film Award, for his memorable performance as a Mafia don in the 1990 film Agneepath. These years would be the last he would be seen on screen for some time. 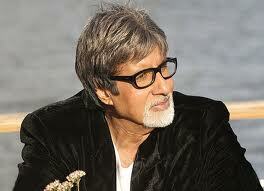 After the release of Khuda Gawah in 1992, Bachchan went into semi retirement for five years. One of his delayed films Insaniyat was finally released in 1994 but was also a box office failure.Bachchan setup Amitabh Bachchan Corporation, Ltd. (A.B.C.L.) in 1996 during his temporary retirement period with the vision of becoming a 10 billion (approx 250 million $US) Indias premier entertainment company by the year 2000. ABCLs strategy was to introduce products and services covering the entire gamut of the Indias entertainment industry. Its operations were mainstream commercial film production and distribution, audio cassettes and video discs, production and marketing of television software, celebrity and event management. Soon after the company was launched in 1996, the first film produced by the company was Tere Mere Sapne which was a modest success at the box office. And it helped launch the career of actor Arshad Warsi who went onto become a successful comic actor. ABCL produced a few other films none of which did well.In 1997, Bachchan attempted to make his acting comeback with the film Mrityudaata, produced by ABCL. Though Mrityudaata attempted to reprise Bachchans earlier success as an action hero (portrayed as an angry man) , unfortunately, like most of ABCL ventures, the film was a failure both financially and critically. ABCL was the main sponsor of the The 1996 Miss World beauty pageant, Bangalore and lost millions due to the poor management of the event. The fiasco and the consequent legal battles surrounding ABCL and various entities after the event, eventually led to its financial and operational collapse in 1997. The company went into administration and was later on declared as a failed company by Indian Industries board. The Bombay high court, in April of 1999 restrained Bachchan from selling off his Bombay bungalow Prateeksha and two flats till the pending loan recovery cases of Canara Bank were disposed of. Bachchan had, however, pleaded that he had mortgaged his bungalow to Sahara India Finance for raising funds for his company. Bachchan later attempted to revive his acting career and had average success with Bade Miyan Chote Miyan (1998) and received positive reviews for Sooryavansham (1999) but most, however, then believed that Bachchans glory days were over as all his other films such as Lal Baadshah (1999) and Hindustan Ki Kasam (1999) were box office failures.